Pick One... 72" 48" 24"
We've got the solution for storing and displaying your growing collection of ribbon. Instead of keeping them hidden away in drawers, get your pretty ribbons displayed in a place that’s easy to access. 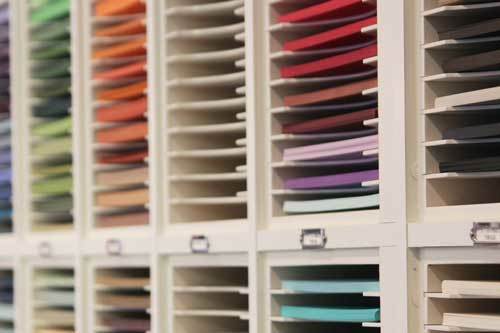 The Ribbon Holder can be wall-mounted or simply set atop other Stamp-n-Storage cabinets. 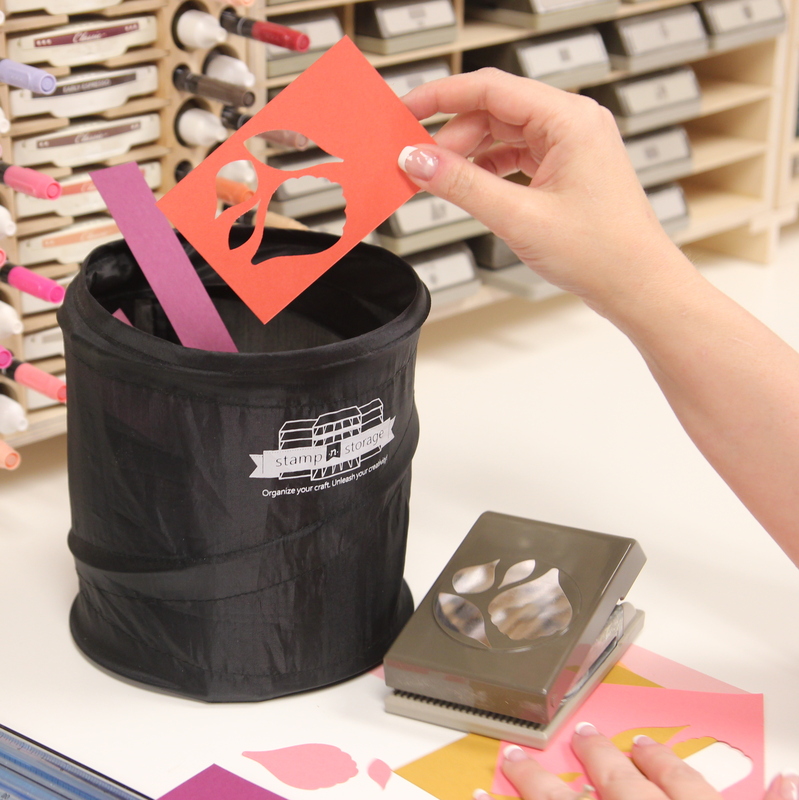 You can store ribbon spools that are up to 4" in diameter. The Ribbon Holder is available in three lengths: 2', 4', and 6'. 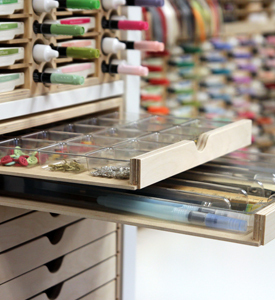 Your ribbon will rest on the shelf and magnetic support blocks are included to prevent the spools from tipping over. 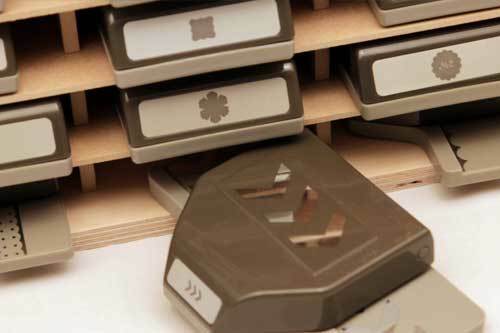 These blocks attach to a metal strip located on the inside surface at the front of the shelf and eliminate the hassle of putting all of your spools of ribbon on a dowel. Your Ribbon Holder can be wall-mounted with the hardware provided with your purchase. 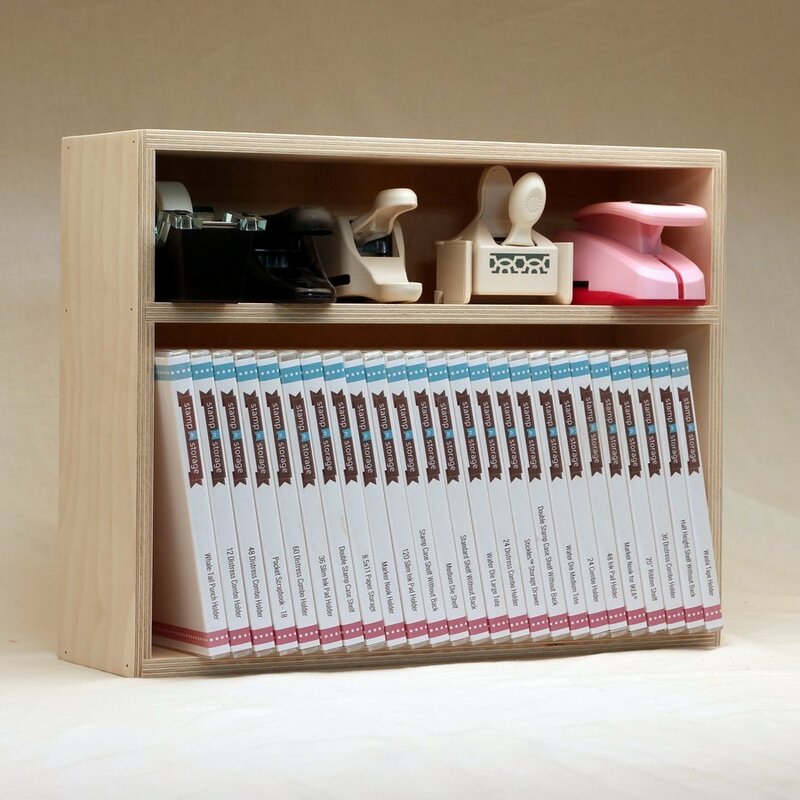 Another option is to set the Holder on your desk or a shelf. Love them! The magnetic edges are great and hold the rolls in nicely. Love that I do not need to remove a buch of rolls to get to the one that I need. 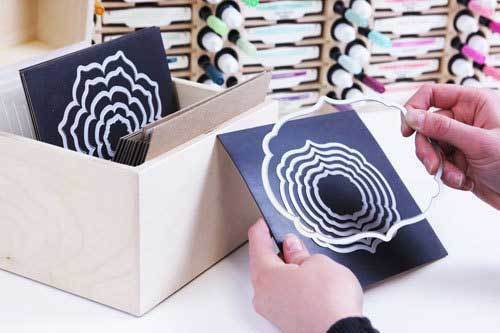 I love StampNStorage! This ribbon holder was bigger than I thought But one can never have enough ribbon! So it will be well loved! Thank You! Love this product. Super excited, wish I had ordered two! I'm pleased with the quality of the product and its functionality. Now to take the few minutes required to hang it on my wall! I now have 2 of the 24" ribbon holders. I am going to hang them to use them as decoration as well. They make easy use of ribbon and keep them in view. This is a very nice product and I have the few ribbons I have in in already and they stay nicrely in place. The one thing I was disappointed about as that one of the magnets did not stay in he holder. It would keep coming out, so to solve that problem I just stuck a little glue in he bottom. It seems to be holding okay now. Also, I was not sure what the extra piece was for, so called the company and asked what it was for. Maybe a note with other orders would be a good idea. After trying several different ideas on ribbon storage, I tried this one. It is the best by far. The magnets hold the wood blocks in place nicely, so your ribbon will always stand up properly. Everything I have ordered has out succeeded my expectations. The amount of storage these units provide is unbelievable. Everything stacks and it makes it so handy to work....everything is within reach at my desk for easy access. Sure helps to keep a neat work area! When my ribbon holder arrived and I saw the box, I thought, geez, I accidentally ordered the wrong size! I was worried I didn't have the space and that I couldn't fill it. Well, it all worked out. I love it! I only wish the wood was finished - either stained or painted. I'm in a situation where I can't do a project like that so I wish I had the option. I love the work you do in the UNITED STATES! 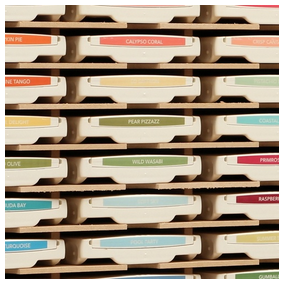 Great way to organize and also add color to my craft room walls. 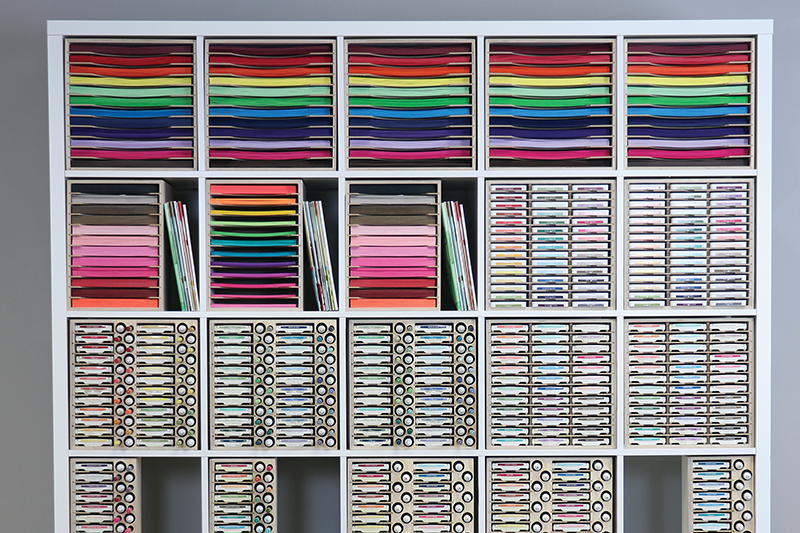 I love this ribbon storage! 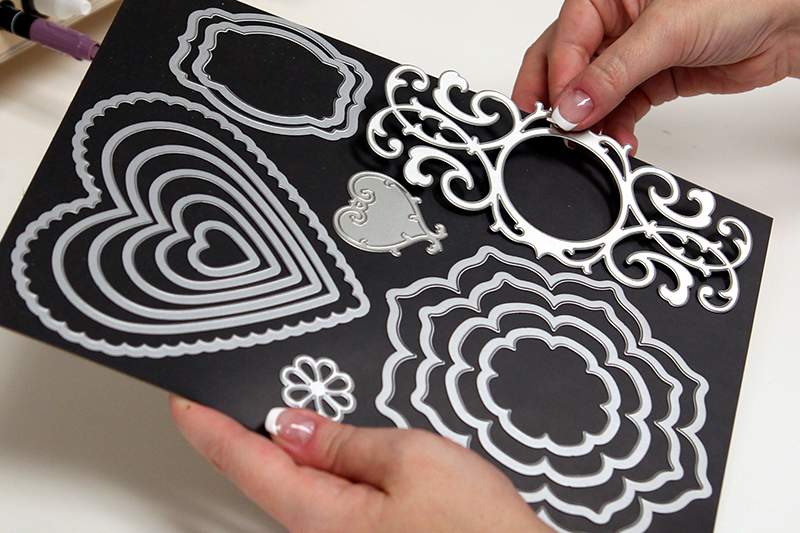 Looks beautiful, and with the magnet blocks it keeps the ribbon neat. The blocks for card display are a bonus (and when I needed more space just turned the block upside down to be able to put ribbon in that space). Every Stamp N Storage item I have is such a great addition to my stamp room! Love having everything organized and easily accessible! Solid, well made, perfect for my rolls of ribbon. Magnetic strip and magnet blocks work great to keep the ribbon tight together and are easy to move as the ribbon collection grows or shrinks. Very pleased with this product. One step closer to organization bliss! I put this atop some of the other organizing pieces made by Stamp-n-storage, so you do not need to fasten it to the wall. It holds my ribbon spools of all sizes so I can see them all, and adds a splash of beautiful color to my work room. I love the ribbon holder! I ordered three 24 inch holders and came back for a fourth....room to expand! Seeing my ribbon is motivating to use it, it's easy to remove and replace rolls, and the magnetic ends are perfect for holding the rolls upright. Also, it is a very pretty decor element in my studio. :) Free, fast shipping is an added bonus. Wholeheartedly recommend this product! 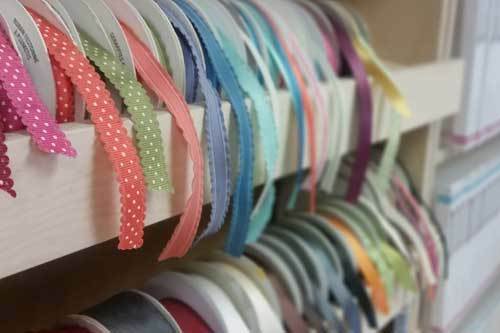 Easy way to organize ribbon. This ribbon holder makes it very easy to see what ribbon I have and access it without having to take anything apart. The magnetic end blocks hold everything in place. Love it.! I really like the ribbon holder. I wish, however, that it came in the same length as the 60 ink pad, marker, and reinker holder, since it is sitting on top of that. I have tons of ribbon - but I really need to keep my Stampin' Up ones organized and this is the best I've found so far. Getting spools out of drawers and containers was a big priority for me. I settled on 2-24" holders to start with. Love that several sizes are available and can be setup as one long run or stacked on the wall. 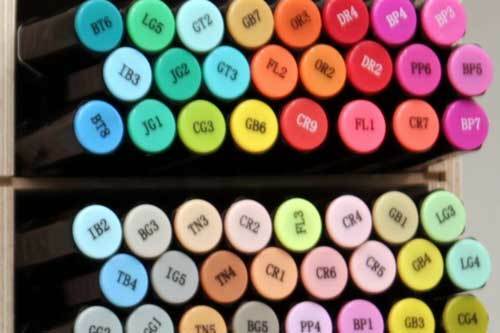 Now I can see all my colors and plan for purchases. Who doesn't love ribbon? I know I do! I got the ribbon holder to sit on top of my marker and punch storage shelves. I really didn't want to block my wall plug so I have a space between the marker and punch shelves and the ribbon shelf is like a bridge over it. 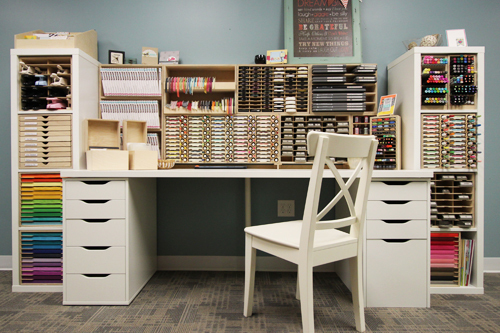 I really like how I could arrange my pieces to work in my space because we all know we need a plug and Stamp-n-Storage is so versatile! I love how the ribbon doesn't fall over and how I can create a rainbow of color as a little piece hangs over the front edge. It looks pretty and the ribbon shelf is the perfect storage option. My ribbon looks so pretty and colorful hanging on the wall right behind my chair in these holders. My husband had no problem installing them and they are very sturdy. They save space by hanging on the wall. The magnetic blocks are great at holding the spools upright, but the little magnets pulled out of the blocks so that when I move the blocks to adjust them, the magnets are left behind. I have tried gluing them several times, but they still fall out when I move the blocks. I love the little card display shelves that come with these holders. They are like a bonus! 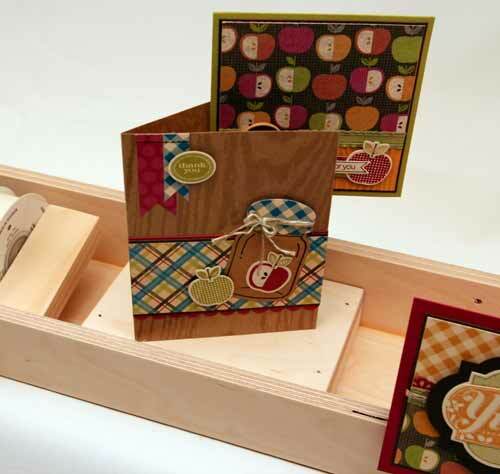 Love the idea of this, the only problem is that it will not hold the larger spooled ribbons (such as Stampin Up has), otherwise it is very versatile and holds a lot of stamps.